Long ago, there were wordsmiths, men and women with integrity that reported on newsworthy events. The public trusted journalists to report fairly and objectively on the latest happenings. Those days are long gone. A few weeks ago I was driving my car and pulled up behind a vehicle that was sporting a bumper sticker that read "Is it true or did you read it in the Courier Mail*". It sure made me chuckle, mostly because of the absolute rubbish that passes as news in all of the News Ltd papers. Lets go through an article that was published to the Courier Mail online version, today April 8, 2016. 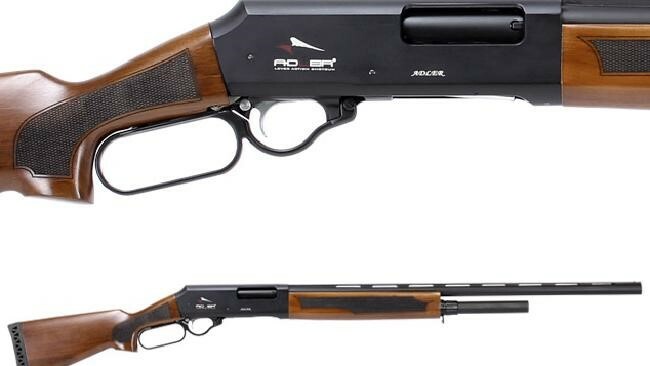 It just happens to be on the topic of a new to the Australian market, lever action shotgun called the Adler A110. Lever action technology has been in use throughout the world since the 1870's and it certainly doesn't contain any new technology. Its just a lever action firearm like any other. Do you see any deadly new technology in this shotgun? No? That's because there isn't any! "Gun control experts fear the proliferation of the Adler A110 model due to loopholes will have deadly consequences, with more than 600 registered in Victoria since September." The first point I'd like to make is that the gun control activists are by no means experts on firearms. Most of them wouldn't even know how a gun operates. The biggest lie is the due to a loophole statement. There has never been a loophole. Lever action shotguns have always been legal in Australia and without incident. So there is one lie right there. "The Turkish-made Adler A110 — which uses a lever ­action to load cartridges into the barrel — has many similarities to pump-action and semi-automatic firearms, but is classified as a shotgun." Many similarities to a pump action or a semi automatic firearm? Really? What planet do these people live on? The only similarity is a tubular magazine. These can be found on just about any firearm action type. A pump action allows the shooter to keep his finger on the trigger every time the action is cycled, a lever action does not. As for it being classified as a shotgun, that's because it is a bloody shotgun. A shotgun is a shotgun. It's as simple as that. This paragraph is designed to create fear in the minds of those who know nothing about guns. Gun control advocates argue the modified A110 — which can rapid-fire five 12-gauge cartridges — should also be classified as semi-automatic. Wow, just wow. Lets call something a different name just because we don't like it. Lets call a recreational fishing boat a guided missile destroyer to stop people from fishing. This is sadly how their inferior brains operate. Gun Control Australia chair Samantha Lee said rapid-fire guns like the Adler shotgun should be banned, as they could fall into the hands of criminals. Samantha Lee is so worried about guns falling into the hands of criminals. Best we disarm the police and army because its a known fact that their guns have fallen into criminal hands in the past. Is this the best argument they have? The Adler would not be a choice for criminals for the exact same reason that the thousands of already legally owned lever action shotguns are not because criminals want small guns. You cant make an Adler small and still retain its 5 round capacity. One of Samantha Lee’s favourite sayings, "rapid fire" is used once again. 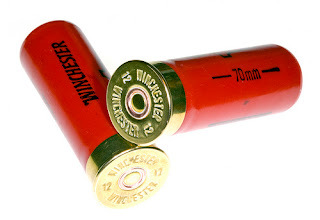 A side by side shotgun can fire 10 rounds in the same time you can shoot 10 from an Adler! Where's the outrage Samantha Lee? 12 Gauge Shotgun Cartridges for the Adler A110. These are the same cartridges for over/under side by side and pump and semi automatic shotguns. A shotgun is just a shotgun!! They all shoot the same ammunition. None are more powerful than the others! The media keep on flogging this dead horse that we need more gun control in Australia. I can tell you that there is a large percentage of the population that wish to have the laws loosened, especially to allow firearms for self defence. Ordinary people don't wish to be defenceless anymore. Here is a recent poll from news.com.au. I bet they weren't expecting this result. This is a giant up yours to gun control advocates! Creating fear in the community about a topic that is a non-issue is a poor journalistic practice. It seems that modern journalists are ethically and morally bankrupt. What kind of money does one receive for selling out their integrity and values? *The Courier Mail is the most widely read newspaper in Brisbane, Australia. It is owned by News Ltd.